UPDATE 7.15pm: PAUL and Diane Widmer watched as ominous black clouds edged their home on Maryborough Biggenden Rd before delivering winds which tore off their roof patio extension and sent it flying onto the driveway. Speaking to the Chronicle at the scene, Paul said he hadn't seen a storm like that in 40 years. 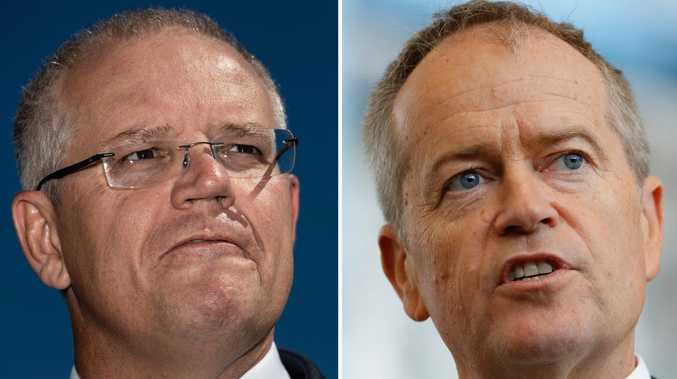 "It was very black out there... I told my wife 'let's go into the bathroom'. "The storm started roaring... we felt the house shaking. The power was out and there was damage to the carpets but the couple was just glad they were unharmed. 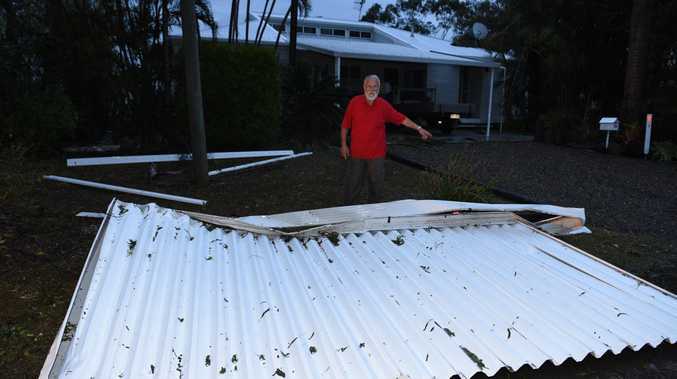 UPDATE 5.55PM: IT might not have packed the predicted punch but the storm which passed through the Fraser Coast on Thursday evening has left a mark on Maryborough West. Powerlines are down near Riverside Christian College at Maryborough Biggenden Rd, on Mungar Rd south of the train line and at several other residential streets and courts at Mungar and Yengarie. Power is also out to much of Maryborough West as well as Tinana, Aldershot and Dundathu with at least 10,000 homes affected. Powerlines are also down at Francis Court and on Old Gayndah Rd. Council workers have been tasked to Old Mill and Mungar Roads to clear trees. UPDATE 5.20PM: AN OUTAGE has resulted in more than 10,000 homes in the Fraser Coast region losing power due to a passing storm. Affected suburbs include Tiaro, Tinana, Maryborough, Aldershot and Dundathu. The tornado warning for the region has been cancelled but residents are still warned of large hail and destructive winds. BOM advise very dangerous thunderstorms are still occurring around the Wide Bay and Burnett regions. 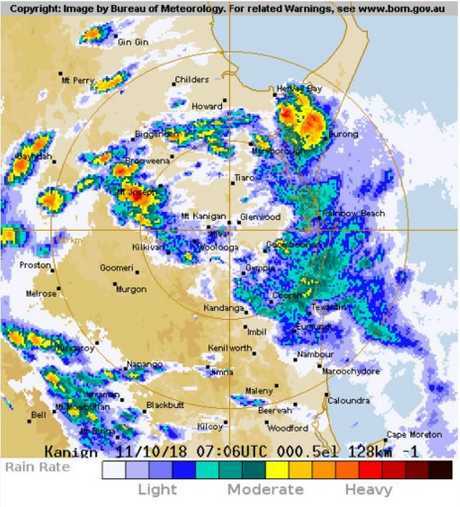 Fraser Coast storm : The storm rolling in towards the Fraser Coast between Maryborough and Tinana. UPDATE 5.12PM: A TORNADO warning has been cancelled but BOM continues to warn residents that very dangerous thunderstorms are still happening, with large hail and destructive winds possible. UPDATE 5.03PM: Large hailstones and wild winds are lashing parts of Tiaro and Maryborough as a monster storm cell hits the region. Power is out to more than 900 homes at Maryborough West and Yengarie. Mungar Rd is cut in several places due to fallen trees and powerlines just south of the railway line. In Hervey Bay, ominous black clouds have rolled in and power outages have already begun. Traffic lights are out at Urraween including outside Stockland Shopping Centre. 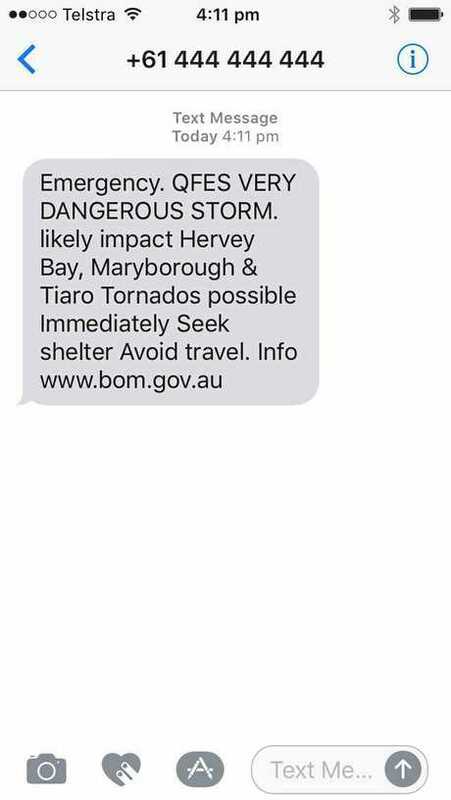 EARLIER: EMERGENCY alerts are being sent out to residents across the Fraser Coast as the region prepares for a monster storm. 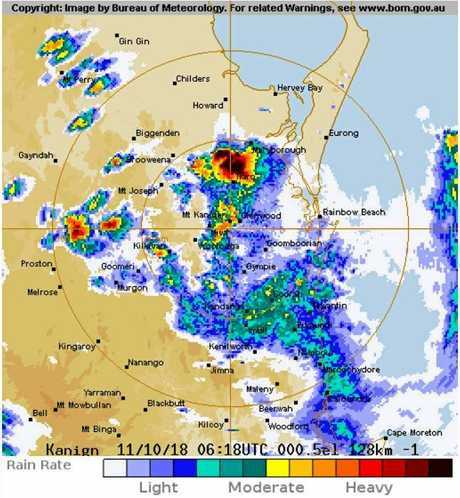 Residents have been advised to seek shelter immediately and avoid travel by Queensland Fire and Emergency Services after the Bureau of Meteorology issued a tornado warning for Tiaro, Maryborough and Hervey Bay. 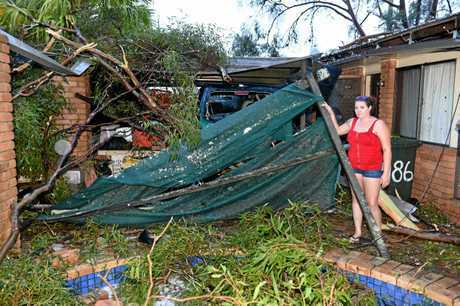 QFES advises people should move cars under cover or away from trees and secure loose outdoor items. While seeking shelter, people should try to be indoors and never under trees. Avoid using the telephone during a thunderstorm and beware of fallen trees and powerlines. The next update is due to be issued by 6.35pm.